All the Students of Kalicharan P.G. College should have 75% attendance If not He/She will not be appear in Examination. "Education is an un-ending and on going process. One has to keep the mind within humanity to learn."
. 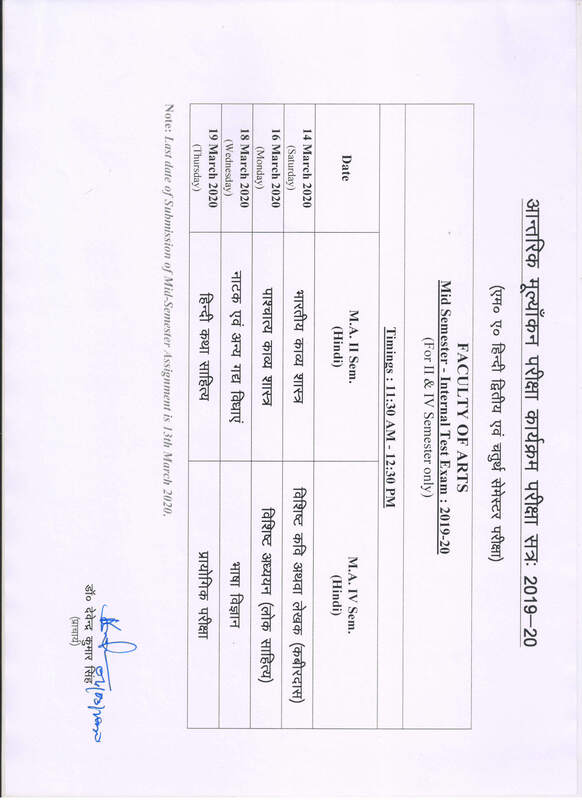 Schedule of M.A. 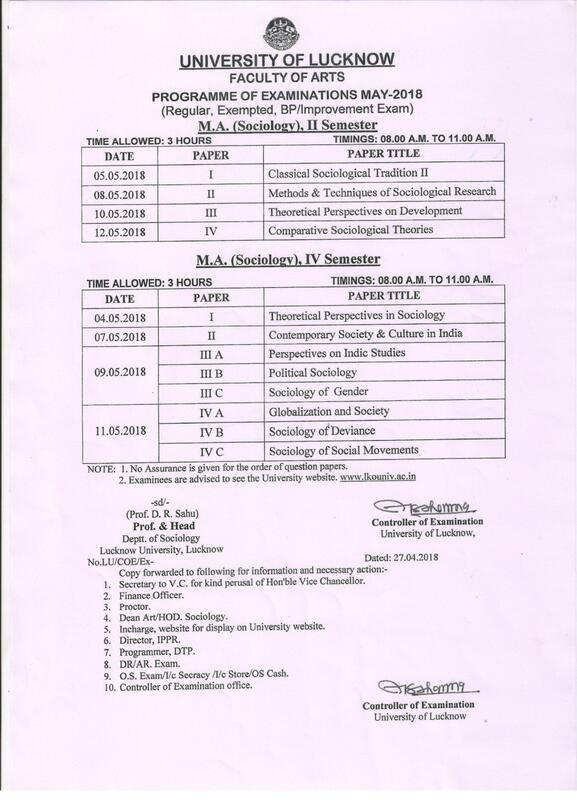 Sociology Mid-Semester exam for 2nd and 4th semester.
. Tender notice for Library Internet Networking work.
. Tender notice for HP Original Toner purchase.
. Schedule of M.Com. Pure & Applied Mid-Semester exam for 2nd and 4th semester.
. 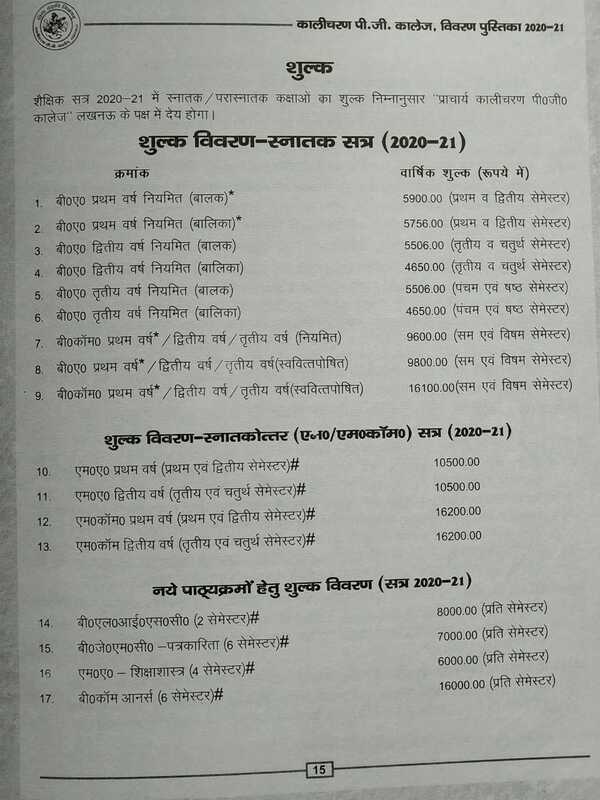 Schedule of M.A. 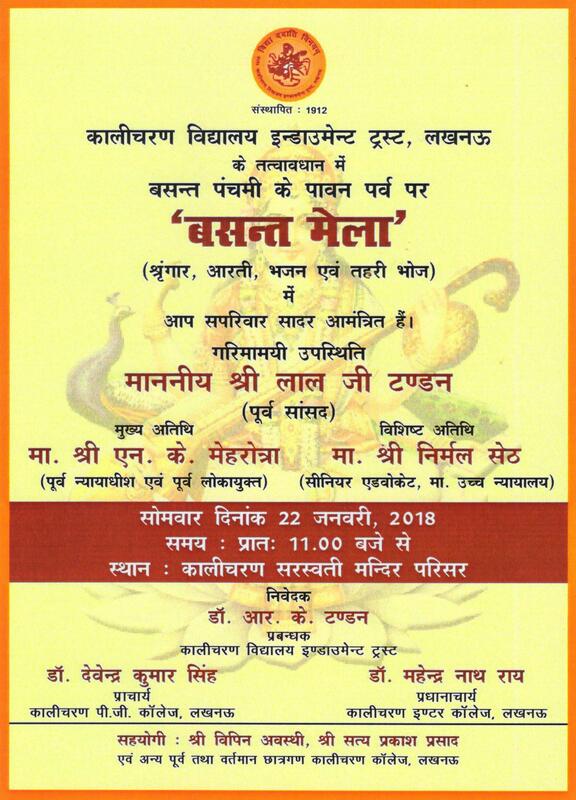 Hindi Mid-Semester exam for 2nd and 4th semester.
. Important notice for all first year students.
. Tender notice for Sports equipment purchase.
. For all U.G. 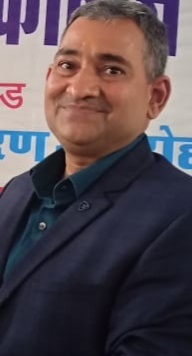 & P.G. 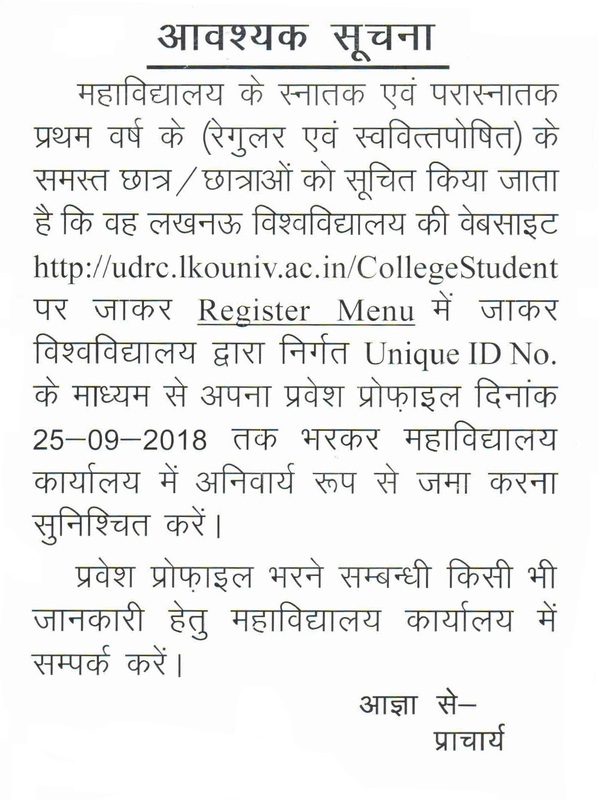 first year students.
. Fees Rebate under 'Poor Boys Fund', Last date to apply: 30,Sept'2018.
. Notice for B.A. 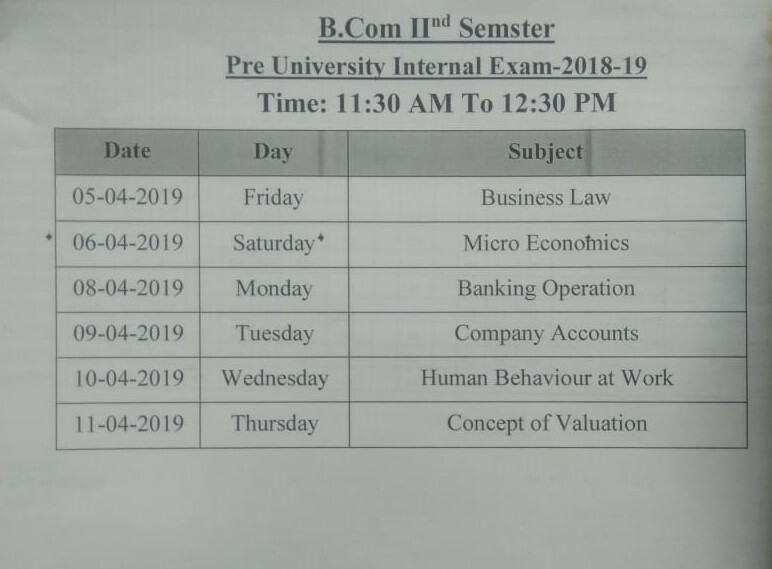 & B.Com First year students (failed in 2017-18 examinations).
. Back paper examination form (Session 2018-19) notice for B.A. and B.Com.
. 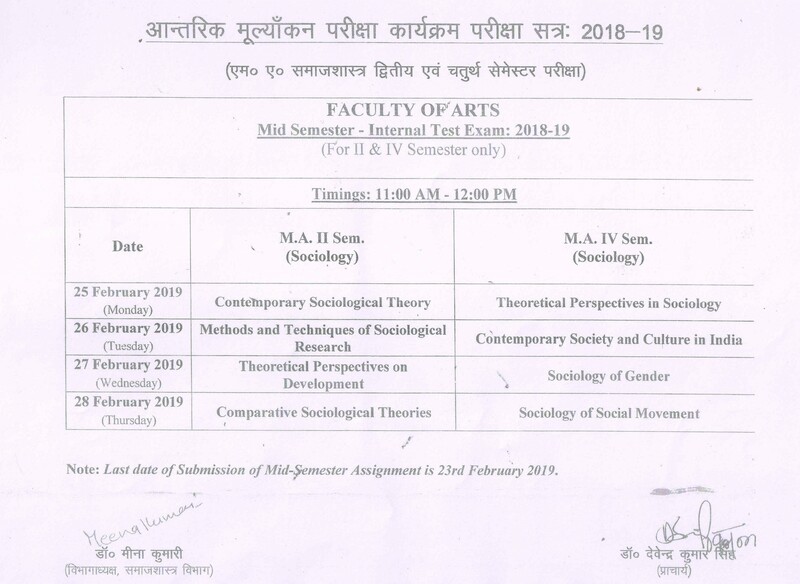 Examination Schedule of M.A. (Sociology) 2nd & 4th semester.
. 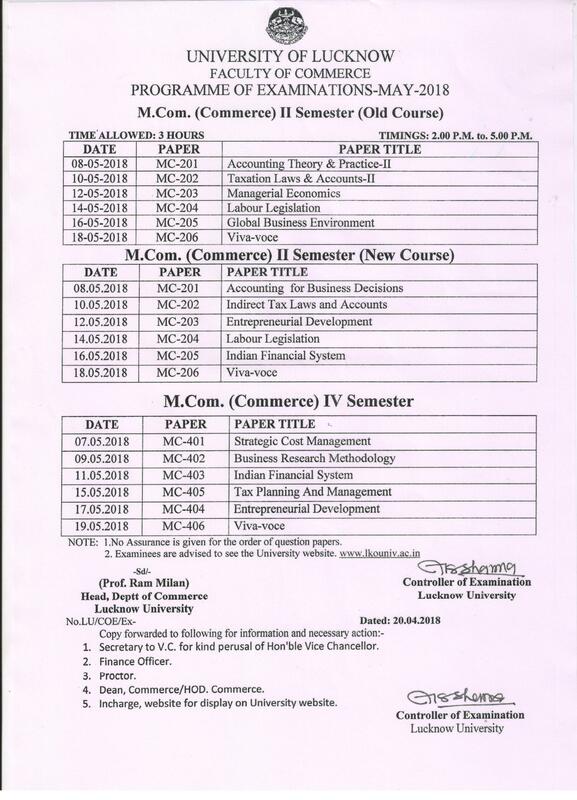 Examination Schedule of M.A. 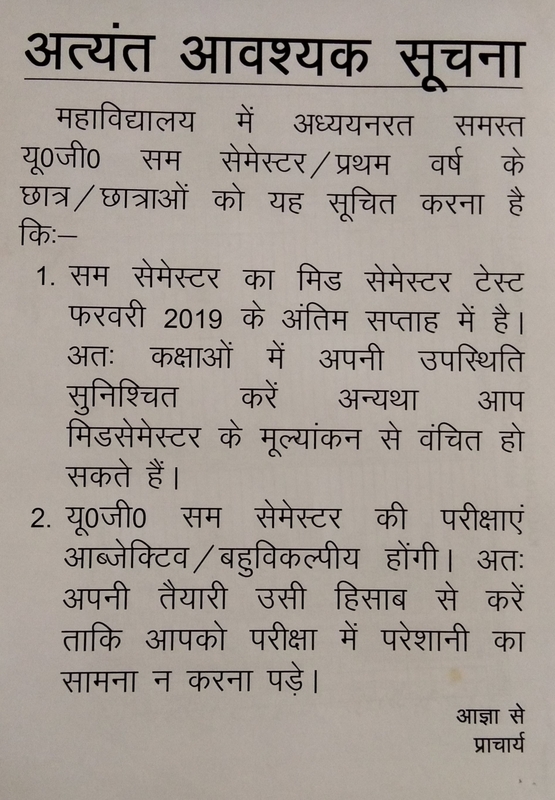 (Hindi) 2nd & 4th semester.
. 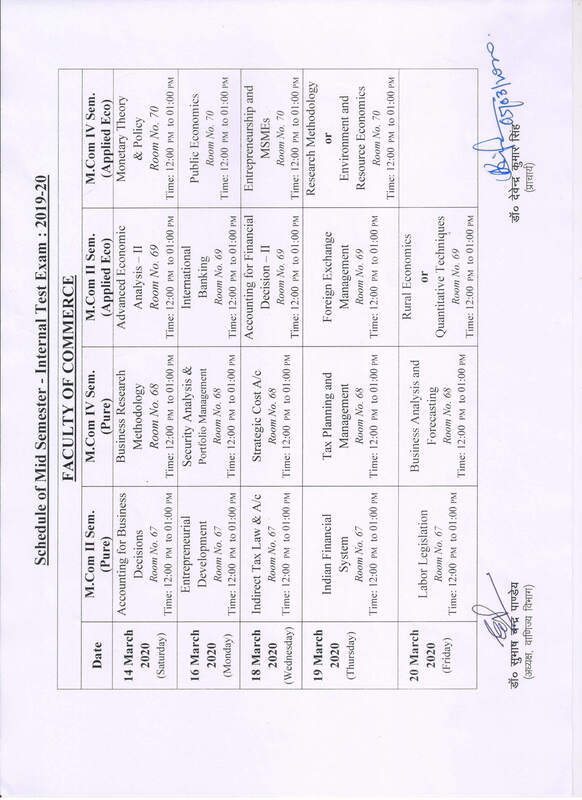 Examination Schedule of M.Com (Pure Commerce) 2nd & 4th semester.
. 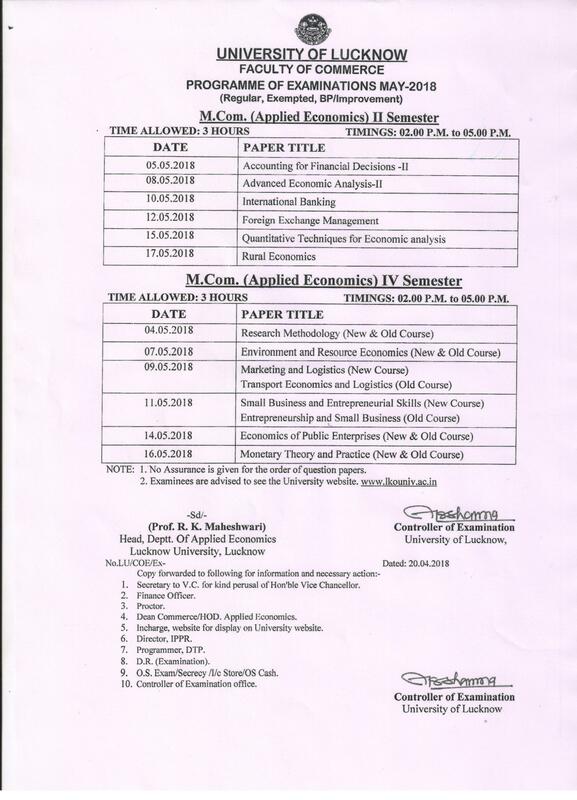 Examination Schedule of M.Com (Applied Economics) 2nd & 4th semester.
. Notice for education practical fro B.A. 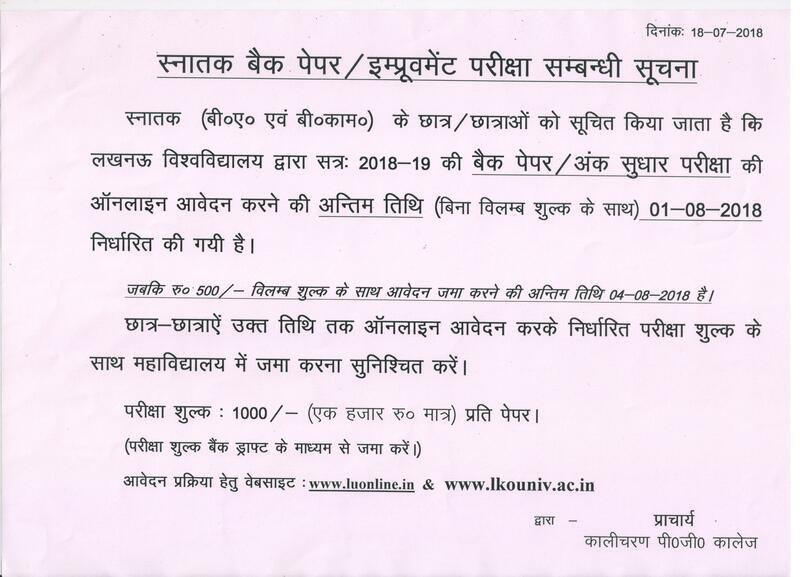 3rd year.
. Download your P.G semester Exam schedule & Admit card from Lucknow University website. 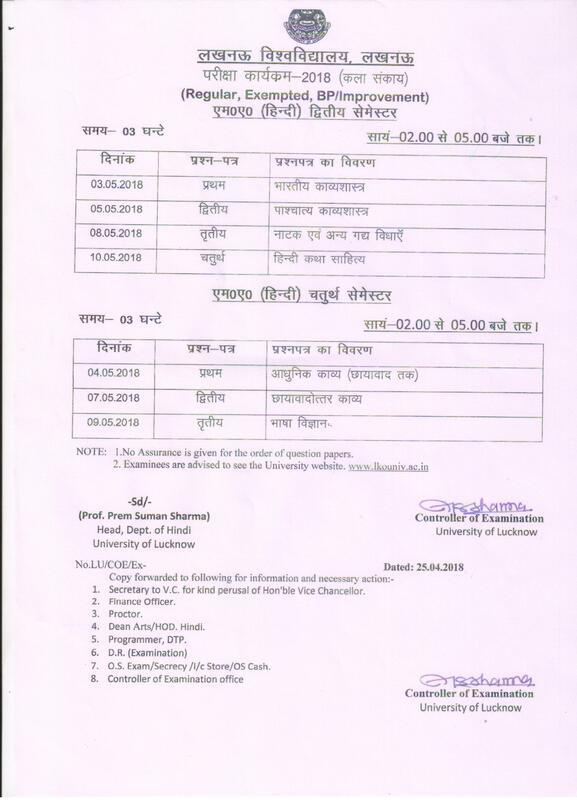 Be careful & confirm dates & timings of Exam.
. Notice for all P.G. Students 1st and 3rd semester (odd Sem), fill examination form. 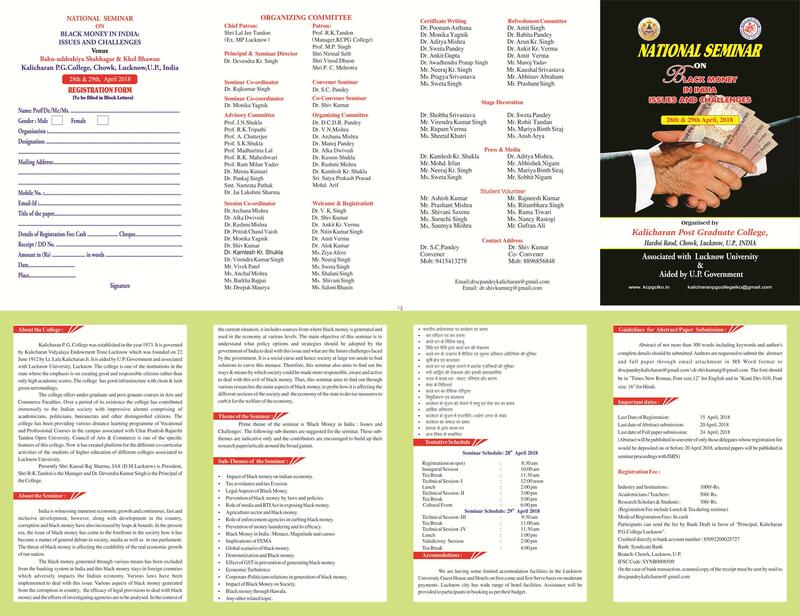 NAAC Peer Team visit is scheduled on 28th and 29th Dec'2018, we request all the students to be present in the college on these days. 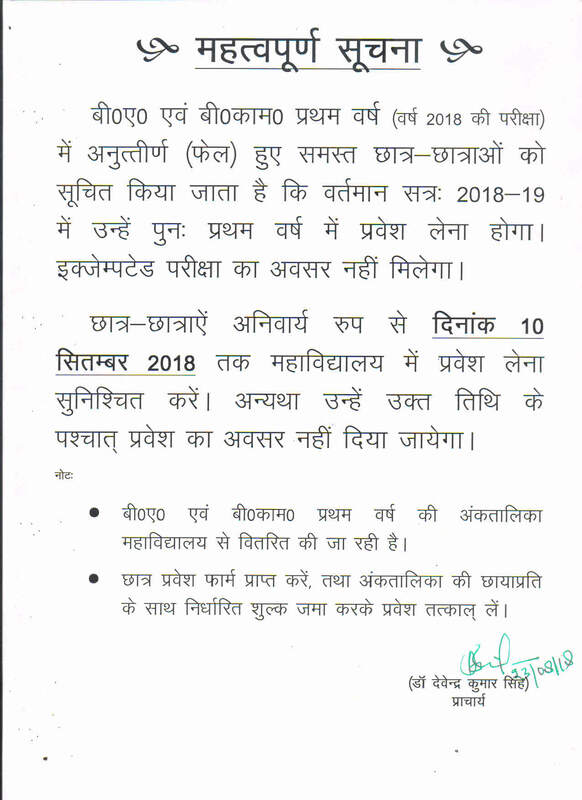 Regarding back paper and improvement examination notice for session 2018-19 for B.A. and B.Com. 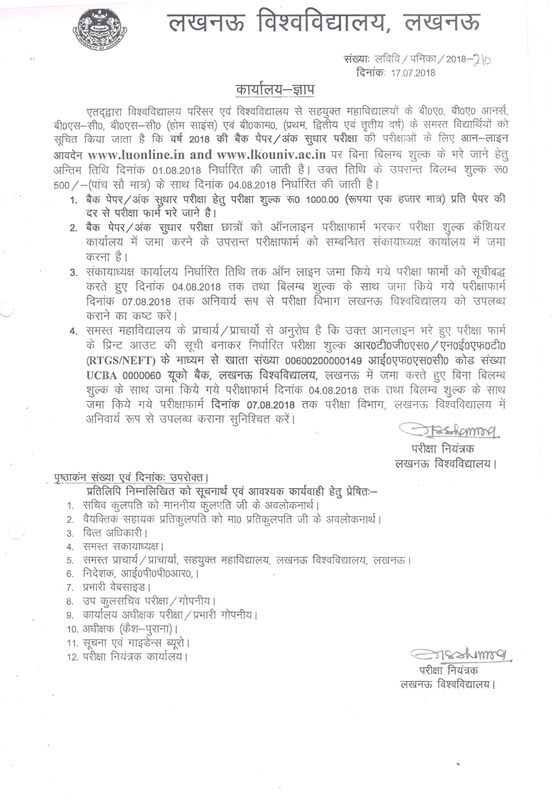 Counselling date for first merit list of B.A. and B.Com are 27, 28 & 29 June 2018. Vacancy for teachers in college. 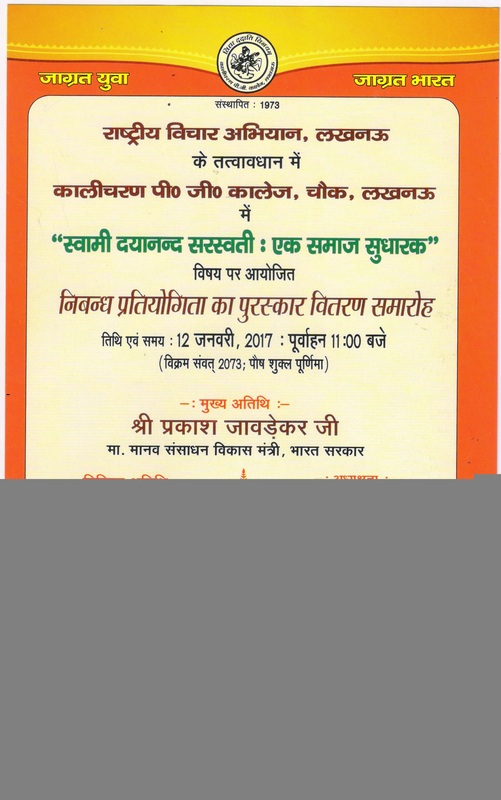 All present and Ex-Students are invited for Sports Hall Inauguration on 06-12-2017. 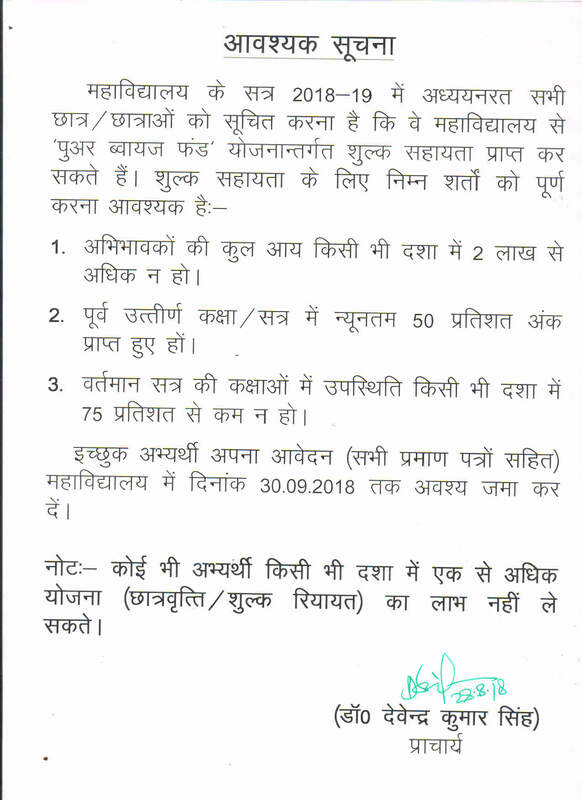 Notice from Lucknow University for All P.G. classes regarding examination form. B.A., B.Com., M.A., M.Com. 2nd Year and 3rd year admission forms are available at college.